Our petition, small in numbers but passionate in support, pushed this issue right up to Emily Eavis, and she listened. From next year, alongside candle flares and flags, Native American style headdresses will not be on sale at Glasto stalls. Although it is only one UK festival, I hope that if we spread the news of Glastonbury's decision on-line, positive discussions about the stereotyping of Native Americans and the headdress will grow in the UK and elsewhere. Thanks again for your support - now onto the next stage: making sure people hear about this progressive decision. 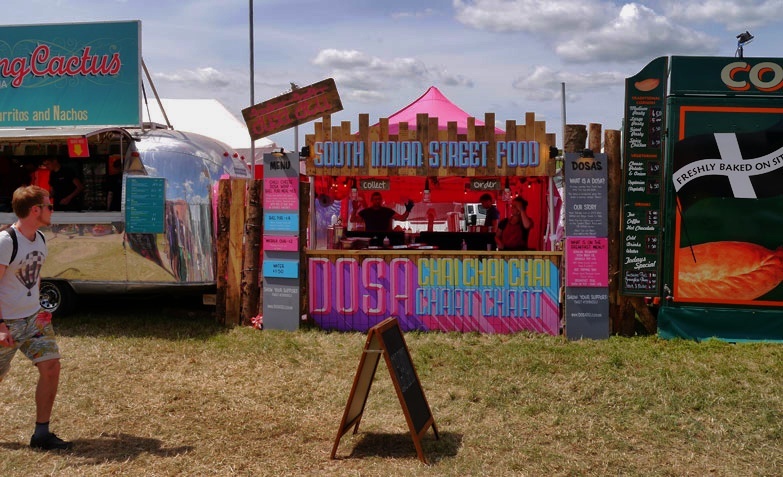 Hundreds of food traders, charities, campaigning organisations and peddlers of the bizarre and unique trade at Glastonbury Festival each year. Pitches are not allocated on a first come first served basis, each application is assessed on its own merit so please give as much information as possible including photographs of your pitch and products.